Thank BOE for replying to me and I will continue keeping an eye on this. Unfortunatly, I did not see how the new teaching method is evaluated and how the reslut is shared for better understanding /appreciation from the community. 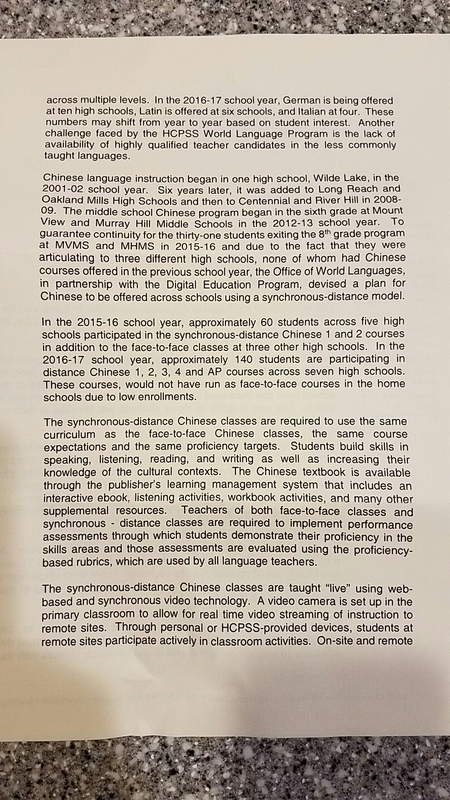 My original testimony barely touches Chinese teaching, but a general doubt on the new synchronous world class teaching. 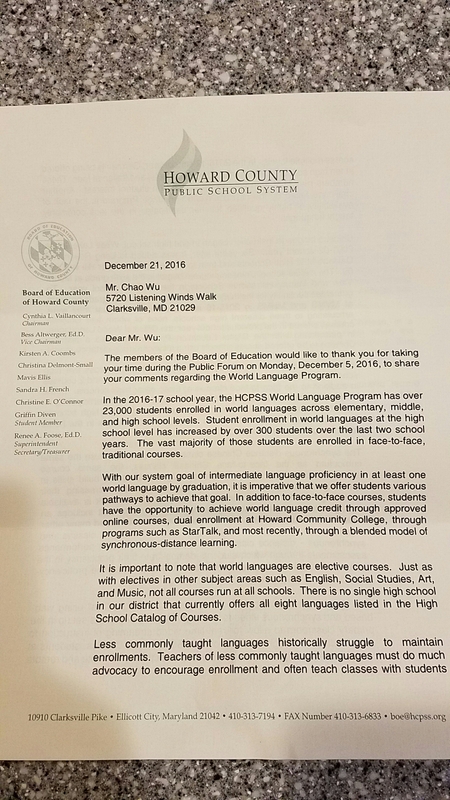 I am not sure how to balance for all students to have a world language proficiency and a quality world language program for those who are interested in. 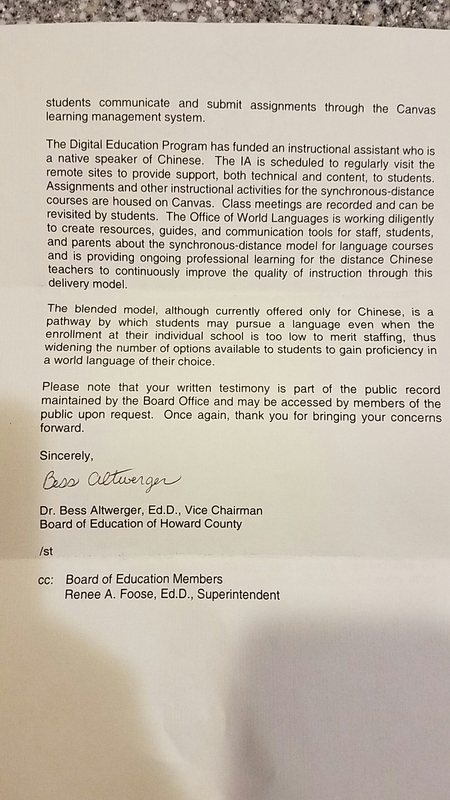 It may not be what you want and it probably isn’t the best way to educate children in a foreign language, but at least you got a letter thoughtful letter of explanation. Before I even took a look at the signature, I knew it had to be a person concerned with the welfare of the children. Funny! Your address is Listening Winds, not Whistling Winds. And they should have saluted you as Dr. Wu.